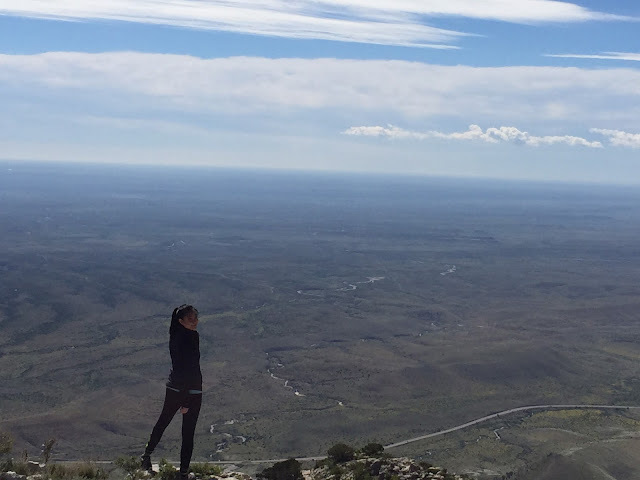 Over Memorial Day weekend (which now seems so long ago), I lost an earring, climbed a mountain, and bought groceries from a convenience store located in a mobile home in west Texas. JR drove (I passenged - yep, new word) the 8+ hours to the desert and the highest mountains in Texas. Live tweeting the road trip with #westwardho was probably the most exciting thing about the car trip, although the slick roads and reckless eighteen-wheelers made for a dicey adventure at times. Forget oil / electricity / natural gas, the car could have probably been powered by our sugar rush alone, fueled by too many bags of Swedish Fish, gummy bears, rolos, and twizzlers. The heavy wet clouds that have been hanging about north Texas for far too long cleared out about the time we reached the desert and the blazingly clear blue sky set off the rugged, rusty Texas mountains in a John Wayne-movie kind of way. In the desert, we stayed in a teensy tiny farming community, population of 400, complete with cow crossing signs pegged at one mile intervals (note: we saw no cows in said city). 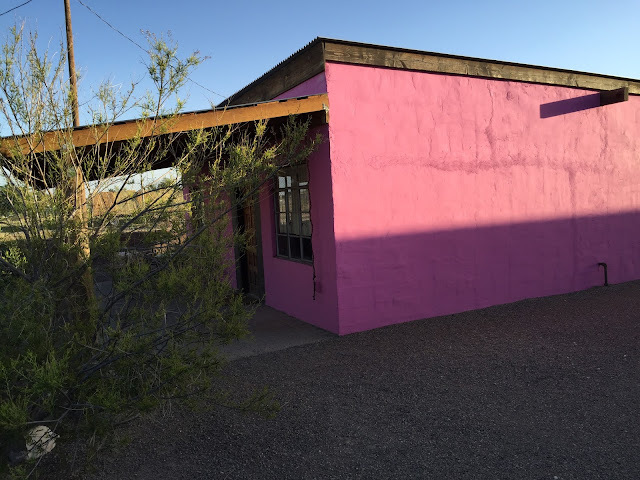 The casita we rented through Airbnb was part of a grouping of low slung adobe buildings, each painted a too bright colour which surprisingly played nicely against the muted pastels of the desert. A hiking club joined us during our stay, their tents scattered along the porch and flapping about at night. To say that our host was a fan of religion-themed art would be like saying the weather lately in Dallas has been a little bit damp. JR and I both agreed that if we saw the eyes of the oil-painted angel shift, we would be packing up the car and staying in El Paso for the remainder of the weekend. Over the weekend, there was no tv / cable, no internet service, and spotty cell reception. With only one “restaurant” in the town, we ended up cooking eggs and eating Cool Ranch Doritos for most meals. We fell asleep before 10 pm every night and one morning, I woke up to a rooster crowing at 4:30 am, grabbing a few sunrise shots for my troubles. The silence and isolation was not deafening but instead refreshing. I didn’t even end up reading much of the books that I lugged with me and stared at the sky, the mountains, and the cacti instead. *JR had to keep reminding me not to hug the cacti. Don’t they just look like they need a hug, though? That's the kind of vacation you needed, Ruth:) Awesome. Is that picture from the top of El Capitan? How was it? I like that you call a town of 400 a city, and maybe it is in that area...Do we need to talk about the fact that you wore earrings hiking in the desert? Sounds like an amazing and memorable time. Good to be off grid! Completely recharged. Sounds like you had a great time. Sounds like the sort of trip that's good for the soul, convenience store and all. The thought of hugging cacti is one that has never occurred to me. Ah, bliss. Sounds like heaven to me. Swedish fish included. Cal has decided they've replaced Skittles as his new favorite. (!) (big news!) (as an aside: I did a taste test a few years back and decided that twizzlers still beat out Swedish fish for beach sweets, but I love them both.). 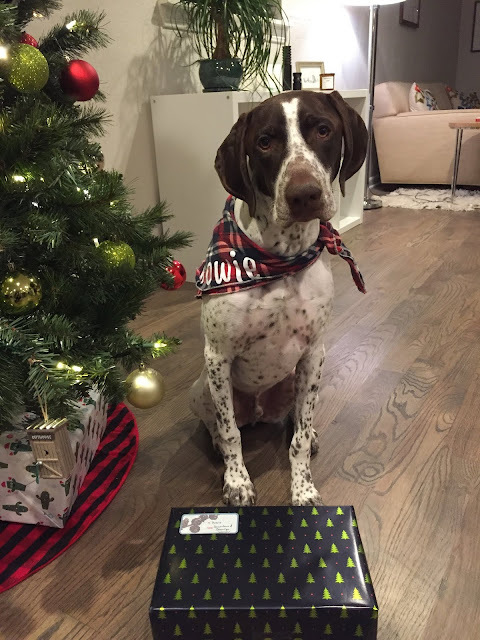 Well, look at you! Sund advice, alright: don't hug the cacti! as a bookworm, i always love when a trip leaves no space for reading. How wonderful! It sounds like such an amazing trip! I love visiting west Texas...I find that part of the state to be so peaceful! That truly sounds like a peaceful and enjoyable trip. I guess one can only take so much religion-themed art. Ooh, I do love a grand adventure! How did I miss the tweets? I feel so robbed . . .